Nick, try Offer Up, LetGo, & similar apps also. Craigslist in my area is garbage and mostly scam like posts. Most have moved to those apps. Surprisingly, many (not all) of my Goodwill's carry CRTs. Can anyone actually confirm the existence of EDTVS, SD sets that support 480p, in the US. All the CRTs I've ran across over the years only support 480i over component. Did "Enhanced Def" even make an appearance or did it quickly get overtaken by HD sets? While we're on the subject, there was a certain CRT TV manufacturer that made an input specific to the oXbox. It was essentially component over 1 cable. The TV noted "oXbox ready" or something on it. Anyone remember this? Wonder if it's 480p or interlaced. I have 2 CRT's that support 480p. One is a Panasonic which shows "HDTV" on it and supports up to 1080i It's a heavy 32" mofo. I played Wind Waker (Gamecube) in progressive on that set . The other is a Samsung 27" which would be a really nice set, but has a warped/stretched image issue on the sides of the screen (looks fine for 3D games but very annoying for 2D). I also have a Sanyo 25" that I think does 480p, but not sure atm, as I only have a Genesis hooked up via SCART to component box right now. Yet another TV I have (another Panasonic, but a POS model) does only 480i via component. I know of the special oXbox connection that you mentioned but always forget what it's called. Someone here knows it though, as I remember it being brought up before. TV's that are compatible have got to be beyond rare though. I have a TV that still works fine... EXCEPT... it lost remote functionality (remotes are fine, even tried a couple universal ones, the IR sensor on the TV is fried). This wouldn't be a problem for me, but you NEED the remote to change inputs. Thankfully, I have it stuck on the back S-video port right now (best connection that it offers). I CAN switch it to RF if needed through menu channel search option, but I dare not. You would not believe how long it took me to get the remote to register for a half-second just to switch it back. Get a Logitech Harmony they work with just about anything that takes a remote and they have a pretty massive database of devices to program your remote for. I bought a really old upscaler that didn't come with the remote and was pretty much useless without it and the Harmony saved the day. I couldn't find any info online about the device itself but they had it in their database and it worked great after I programmed it. The Logitech Harmony 650 is what I have and it's only $35 now which is a great deal. There are better versions of the Harmony but they are more expensive and the extra features really aren't necessary unless you really need to control more then 8 devices at once or something. I will consider the Logitech, as I have a couple other devices that could benefit from it (old DVR and a weird DVD player that refuses all other universals) Thanks for the advice. But I really do think it's the IR receiver on the TV that's messed up. I have read other reports on this particular brand (Sylvania) having the same issue. It is repurposed as strictly S-video for now. @nighrnr, if you can confirm those SD sets accept 480p, that'd be awesome. I've had 4 CRTS with component over the years. All 4 were 480i only. Now the 480i over component looked amazing, but the "EDTV" has always eluded me. Would like to have a model # to hunt for. Top is Daewoo. Bottom is Sony. There is a clear difference. I have optimized both settings to be similar as I can. Still it seems the Sony is slightly more washed out. Segata wrote: Top is Daewoo. Bottom is Sony. There is a clear difference. I have optimized both settings to be similar as I can. Still it seems the Sony is slightly more washed out. @ Segata - Your Sony appears to need the contrast kicked up to bring in the blacks over the brightness, max it out if you need to. If still washed, you can go into the Service menu to raise it up even more. Jagosaurus wrote: @nighrnr, if you can confirm those SD sets accept 480p, that'd be awesome. I've had 4 CRTS with component over the years. All 4 were 480i only. Now the 480i over component looked amazing, but the "EDTV" has always eluded me. Would like to have a model # to hunt for. Never seen an 480p EDTV CRT, curious myself. 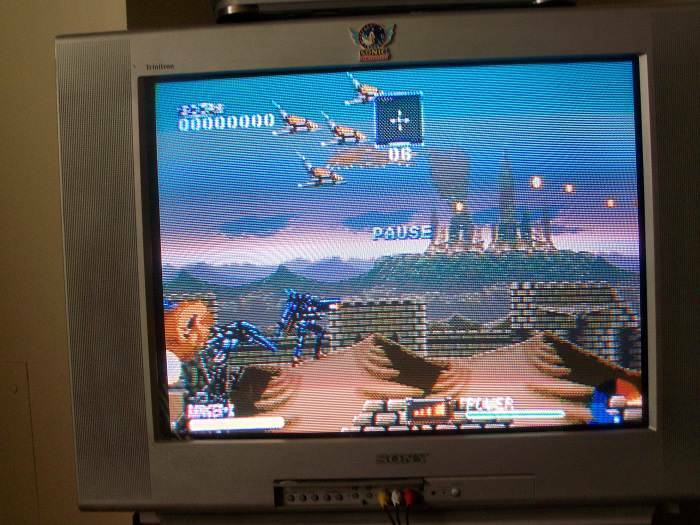 If one could be found, the PS2 when set to 480p max resolution of the EDTV CRT can work with the Guncon 2 unique 100hz mode. Something of an obscurity the last of the Sony WEGA SD TVs spec sheet states a 1080i tube which probably an error? I also own this beautiful TV, every input is 480i except perhaps the built in digital channel tuner. The TV channels video are so sharp seems to be displaying in the 1080i mode. I run digital tuning on my Samsung 480i CRT which also has a sharp display, but the Sony seems to display in a higher resolution. Really a strange obscure TV in my preferred 4:3 tube with a superb picture. Last edited by CRTGAMER on Mon Jul 24, 2017 7:07 pm, edited 7 times in total. Aging capacitors can also impact brightness. @CRT interesting. I do remember that window where the only real HD content was digital OTA or the very pricey early HD DVD/BR units. Cable companies were still a bit out. 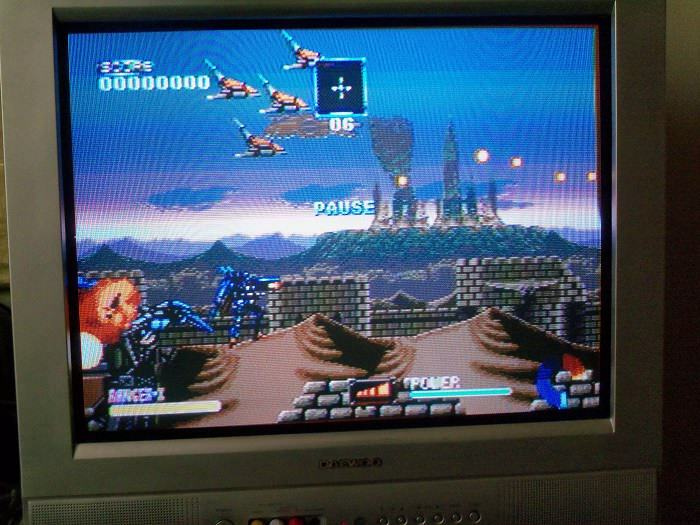 @nightrnr, does the RGB to component converter upscale to 480i or is it still 240 over component? Curious as my LCD doesn't accept 240 over component & that might be a good solution for my older consoles (w/o spending $400+ on XRGB). Another win for CRTs there. Ok I know everyone is looking for a 25-35 inch tv but I need info for a small tv for the corner of my room. I using a microwave stand and I'm using it for my nes and SMS. I'm thinking of a 13 or a 19 inch. Any suggestions on what model and or maybe one with a VHS installed? That Daewoo is about a 19 inch. Not sure the model.